Helping households achieve self-sufficiency releases them from cyclical crisis and dependency on community help. Helps individuals interview for or start employment by supplying 'fuel only' cards. Since it's inception in 2017, we've helped 71 households become financially better to equip to provide for themselves! After a February 2016 survey concluded there were no supplies freely available in Fond du Lac County, The Salvation Army became hygiene and cleaning supply outlet. We share toiletries, hygiene items, cleaning supplies, diapers, etc. and have a laundry program for clients to bring and do laundry. 1386+ households depend on us each month for access to personal care, laundry and cleaning supplies. Access to these services helps clients attain employment, maintain health and dignity, prevents bullying. Over half of the participants in the January 2016 survey asked for help budgeting and making easy and healthy meals. 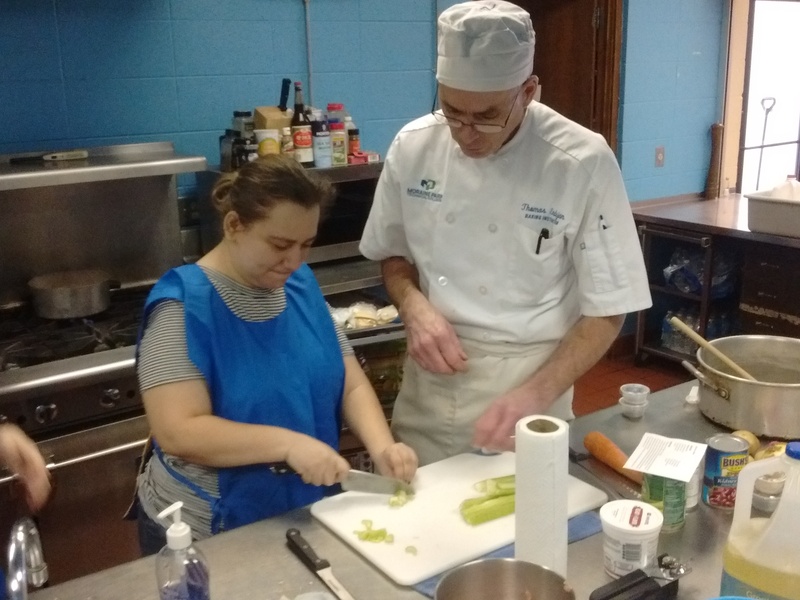 Our clients are on limited incomes and many also have health-related issues, so we teamed inspired experts together to create a practical class that delivers good, healthy meals, teaches participants how to make them and gives them confidence and the skills to make meals at home on a budget, using ingredients from our pantry. Our Cooking with Confidence program takes Salvation Army food pantry ingredients adds recipes and knowledge to help participants make informed choices and create meals that consider their household's health needs; then provide recipes, seasonings, and kitchen tools needed to integrate what's learned into their own lives. A partnership with Marian University and Anthem Blue Cross Blue Shield our "hot spot" will deliver health assessments & screenings, practical tips on how to be healthier and resources to put what they learn from us into action! The Health Hot Spot is located inside The Salvation Army Fellowship Hall at 237 N. Macy St. It is open to Fond du Lac County residents Mondays & Fridays 10 a.m. until noon. and Wednesdays 9:30 a.m. until 11:30 a.m. and 12:30 p.m. until 2:30 p.m. The Health Hot spot is funded through Northeastern WI Area Health Education (NEWAHEC).